Different Jobs, Different Tools, Same Mission – Saving Lives! 1. To insure safe and secure buidlings in which the people of Florida may live and work, by promoting the building regulations and the administrative organization technique and methods of their enforcement by local government. 2. To allow the use of new materials and construction methods that have been approved by established procedures by the Central Florda Chapter, and to increase the knowledge and understanding of the members of such new materials and construction methods in their proper applications. 3. To correlate the activities of the Central Florida Chapter with the International Code Council. 4. To promote and encourage uniform interpretation of building regulations. 5. To maintain modern building regulations by submitting amendments, additions, and deletions to these regulations to the International Code Council. Officers serve a term of one year in their position and, subject to vote of the members, move in consecutive years through the chairs from Chapter Director to Treasurer to Secretary to Vice-President to President to Past President. Serving as an officer is a good opportunity to give back to and work towards improving the industry that provides your livelihood. Let an officer know if you are interested in serving. See our By-Laws in the "About Us" section for more information on requirements and duties of officers. 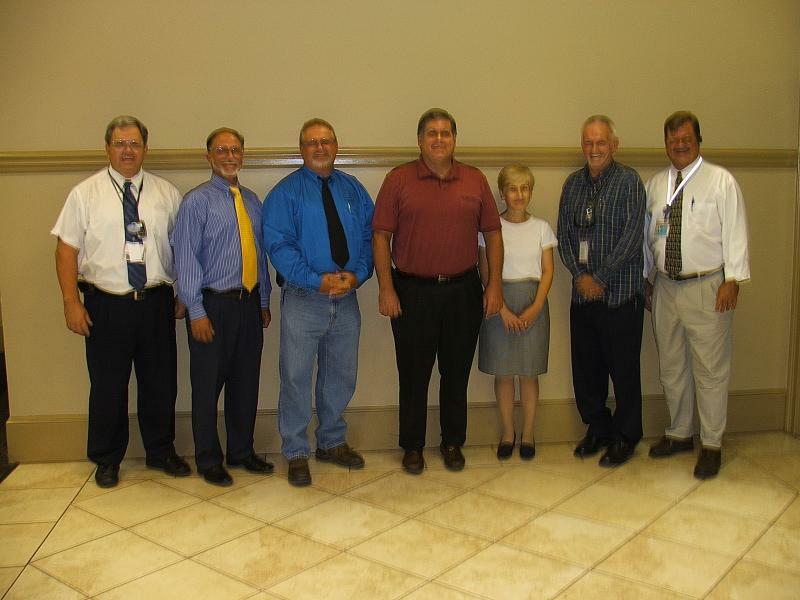 Officers From Left to Right: Past President Allen Johnson, President Dan Florian, Vice-President Mike Rickabaugh, Secretary Roy Eden, Treasurer Tom Heatherman, and Chapter Director Dean Hall.